Kansas City, Mo. — Missouri Southern sophomore runner Nickson Kiptoo has been named the MIAA Men’s Cross Country Runner of the Week, the league announced today. 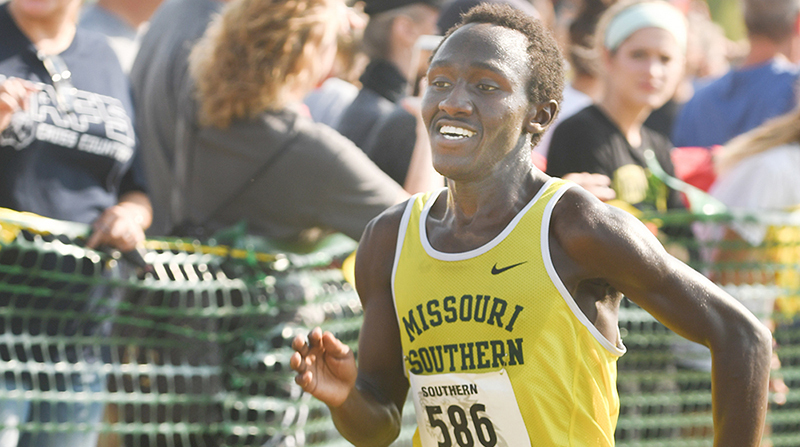 Kiptoo, a native of Eldama Ravine, Kenya, helped the Lions to a fourth-place finish at the 28th running of the Missouri Southern Stampede this past weekend. In the University race, Kiptoo placed ninth individually but was the fourth-highest finishing D-2 runner and top MIAA athlete in the race. He traversed the 8k race in a time of 24:58.28, a little under a minute off of the lead runner. He and the Lions are off until October 7 when they travel to Lewis University for the MIAA/GLVC Crossover.